On Sunday, April 2, 2017, the Tuberous Sclerosis Alliance (TS Alliance) will present its 16th Annual Comedy for a Cure, which raises funds to support research into a rare disease called tuberous sclerosis complex (TSC). Comedy for a Cure will be held at The Globe Theatre at Universal Studios Hollywood starting with a one-hour reception and silent auction at 5 pm, followed by a short program, live auction, and hilarious comedy. 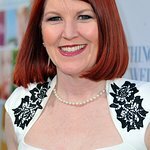 This year’s event features a special “Roast & Toast” for Jim O’Heir of Parks & Recreation, a long-time TS Alliance supporter. Performers include headliner Bryan Callen, comedian Wendy Liebman, magician Shane Brady, and emcees Mo Collins and Alex Skuby. 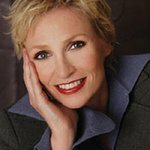 In addition, Jane Lynch from Glee and Kate Flannery from The Office will also sing selections from their live show “See Jane Sing” with Tim Davis and the Tony Guerrero Jazz Band. Comedy for a Cure will also recognize the Michael Augustine Family with the Courage in Leadership Award. Mike and his wife Milly have served the local and national TSC community for the past 25-plus years on behalf of their daughter Megan, who has TSC. Milly started the gift-wrap campaign in 1994 and lead this effort for 10 years, raising $100,000. Mike helped create the TS Alliance Endowment Fund in 1995. Serving three, six-year terms on the Endowment Board, Mike was personally responsible for the growth of the fund to more than $5 million today. Since its inception, Comedy for a Cure has raised more than $4.5 million, bolstered by the support of the “who’s who” in the entertainment industry and comedy community – Garth Brooks, Mo Collins, Mark Curry, Dana Delaney, James Denton, Calista Flockhart, Greg Grunberg, Bob Guiney, Teri Hatcher, Patricia Heaton, Jennifer Love Hewitt, Jane Kaczmarek, Melina Kanakaredes, Bill Maher, Larry Miller, Julianne Moore, Jennifer Morrison, Jim O’Heir, Bonnie Somerville, Ray Romano, Bob Saget, Sarah Silverman, Variety magazine, Access Hollywood, and many more. TSC causes tumors to form in vital organs, including the brain, heart, kidneys, lungs, liver, eyes and skin. TSC is also the leading genetic cause of both autism and epilepsy. While the daily challenges of living with TSC can be daunting for children and adults with the disease, ongoing research in laboratories and clinical trials shows real promise in developing better treatments and identifying circumstances that, for the first time, may prevent some of the most harmful effects of the disease. For more information and to purchase tickets online, visit www.ComedyforaCure.org.